A major factor in our ability to pursue financial independence and early retirement is the fact that Mr. Frugalwoods and I don’t care what you think. This is not to say that we don’t value your opinion, your advice or your guidance–we surely do!–we just don’t care if you judge us. Go ahead. We’ve mastered the art of letting go and surrendering. We accept, and announce, that we are officially unusual. Frugal weirdos. Contrary to the mainstream. I used to be a bit closeted about our frugality, but now I’m known for it. Living a super frugal lifestyle is what makes us happy and is our most genuine iteration of existence. It’s getting us where we want to be in life at age 30 instead of age 65. Plus, our friends know we’ll gladly take their hand-me-downs, and we have no shame in picking up sweet furniture discarded by the side of the road. Look at these frugal weirdos. I bet they didn’t even pay to go on that hike. The minute we stepped off the ridiculous carousel of consumerism (ok, we were never really ON it) and disavowed the “socially correct,” we felt free. Disclaimer: this doesn’t mean we break laws or treat others badly. We’re moral, just, upstanding folks who clean our house weekly and pick up Frugal Hound’s poop. Being a good citizen (especially when living in dense urban environs like we do) is important and we are believers in karma. Ok, now that’s out of the way, I’ll continue. Many of the peripheral things society dictates people care about are financially draining and don’t bring true happiness or a pure existence. Frugality isn’t a mainstream mode of existence. It’s odd to live below your means, reuse everything, cut your own hair, shop used, and not spend tons of (or, like, any) money on clothes, restaurants, and entertainment. Washing your own greyhound: fun and not mainstream! This carousel of lifestyle inflation will enslave you to your job in perpetuity. I think it’s terrifying when you see it for what it is–a way to keep you chained to your desk. Work, buy, work more!, buy, go into debt, better work more! The horror. If you’re “successful” you have a nice car. Right? That’s how you show people you’re making it. Well, I disagree. The Frugalwoods-mobile (a 1996 cosmetically-challenged Honda Odyssey minivan) does a great job. Gets us where we need to go and we don’t owe a dime on it. I used to be really hung up on where I worked and what my title was and how quickly I was advancing. Well, that didn’t make me happy. There was no fulfillment. Now, by letting go of caring what others may or may not be judging or saying about my job, I’m free to pursue a life that brings me joy. Clearly I feel exercised enough about this one that I devoted an entire post to it. Enjoy! Hey, other people are exercised about this too! Here’s a great post by 1500 Days to Freedom on the concept of finding your Enough. Fancy vacations, entertainment, restaurants, things of that ilk. Most of these are road-bump opiates–they make you feel good in the moment but ultimately don’t fulfill you and derail your savings efforts. We absolutely believe in enjoying life (we don’t self-flagellate or put stones in our shoes as penance I swear). On Saturday we went on a picnic with friends, road our bikes around town (specifically to the grocery store to eat the free samples), and enjoyed a coffee date at home. And we do go on vacation (in fact, we’ve traveled abroad quite extensively), we just frugalize it. 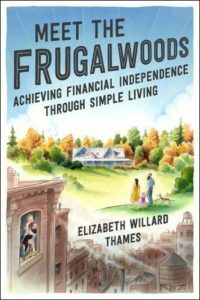 By freeing ourselves from material competition and the so-called trappings of success, Mr. Frugalwoods and I are able to live a life entirely devoted to our goal of retiring early and moving to a rural homestead. 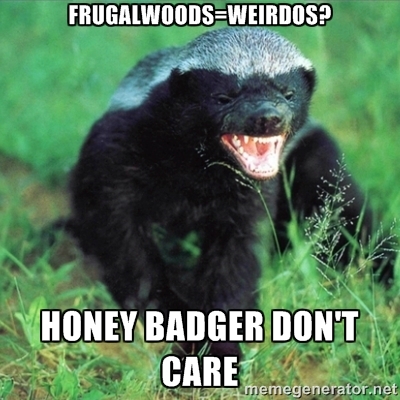 I think some folks are inherently unconcerned with what other people think (Mr. Frugalwoods falls into this camp), but this wasn’t always the case for me. I had to make a conscious effort to abandon societal conventions and instead pursue my conception of a meaningful life. For some reason I was hung up on the notion that I needed to achieve or prove myself in order to be a good person. I’m so over that. I now believe that I need to live my true purpose and that being a person who effects positive change will naturally follow. How do you buck the consumer trend and build a fulfilling existence? We’ve been lurking here for a while now and really love your blog… We are a moderately frugal couple with a couple of rescue greys, living near Cambridge (english version). Excellent post, frugality/LBYM is absolutely a mind thing. So much of the conventional personal finance advice suggests you try your hardest to climb the career ladder and earn as much as you possibly can, but at what cost? More money, but more tax, less quality time with hounds and each other, more stress – no thanks. We may have a certain reputation for being a wee bit ‘tight’ among our friends, but are also known for being financially savvy and sorted, and the first to offer to bake an awesome cake when the situation demands it (including an amazing pilchard cake for hounds). 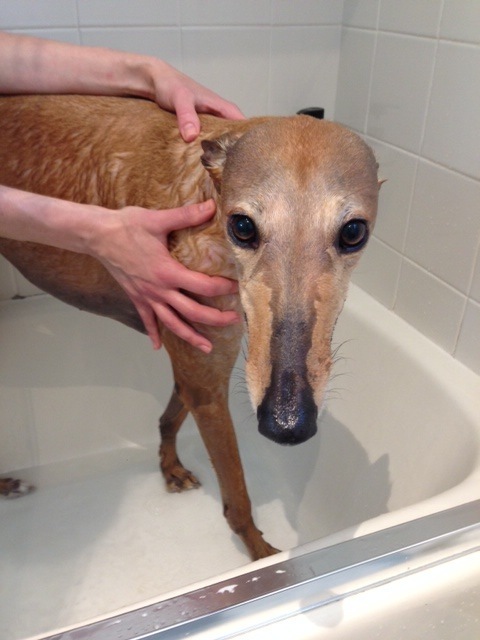 Keep these fabulous posts coming, Mr & Mrs Frugalwoods, and those splendid piccies of Frugal Hound! So glad you said hello! Thank you for your kind words–that’s lovely to hear! You hit the nail on the head with “at what cost”–what’s the point if you’re stressed and not spending enough time with your family! On a different note, what is a “pilchard cake for hounds”? Sounds like something I need to learn about! 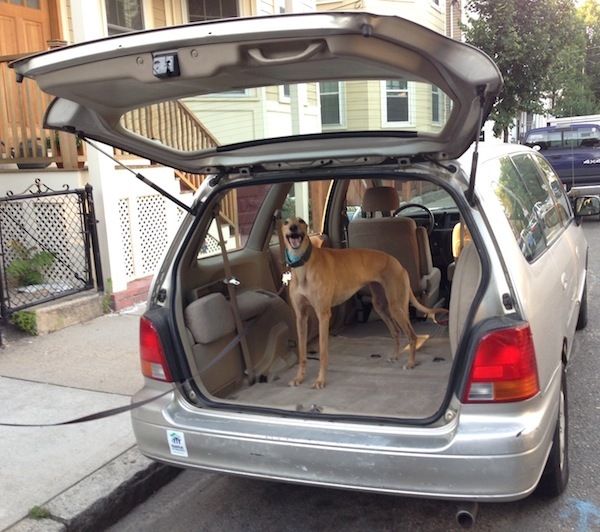 Also, Frugal Hound says “roo” to your greys! Pilchard cake is the best hound treat! 6oz plain flour, 2 eggs, 1 tbsp baking powder, 15oz can of pilchards or sardines in tomato sauce (drain off the excess sauce and squish them to a paste). Mix this lot together, then bake in an 8 inch lined sponge tin for 25-30 minutes at 350F, et voila … You can slice it up and freeze it too, if it lasts that long – hound nom nom heaven! That sounds like something Frugal Hound would adore! I’ll have to make it for her. Thank you so much! Dropping by to say hi from MoneyMustache forum! 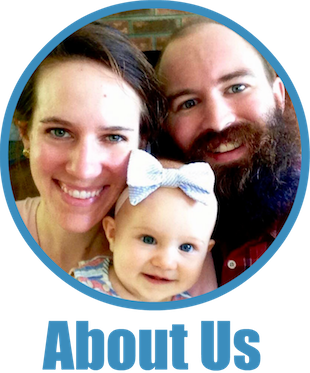 Great lil blog! Thanks so much! Glad you’re here! Awesome post, Mrs. Frugalwoods! 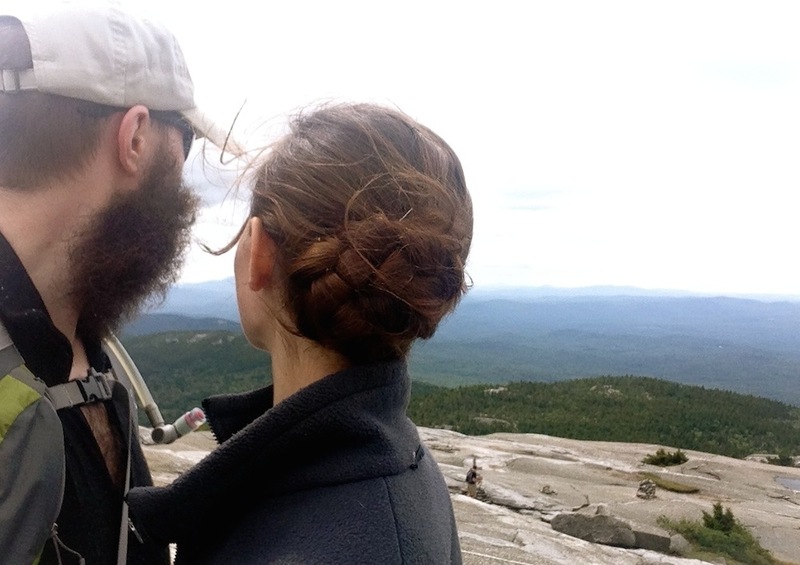 Like Asset-Grinder above, I discovered your blog here via Mr. Money Mustache. This is the first blog post I’m reading and I love it! I think Mr. Frugalwoods and I exchanged fun forum posts over there at MMM in a thread about how ridiculous paying for greeting cards, wrapping paper, and gift bags is! Now I’ve got an entirely new blog to get hooked on. 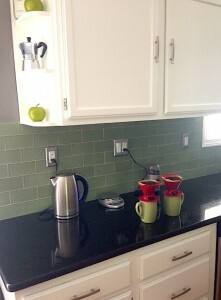 Thanks for sharing and I look forward to diving into this blog! Wow, thank you very much–I really appreciate your kind words! And, that definitely sounds like my husband, he’s a certified wrapping paper/gift bag/card hater (as am I). We are, however, both pretty excited about the wrapping paper I found for free by the side of the road. Thanks again for stopping by–we’re so glad you’re here! Ha ha yep. That’s exactly what I remember about our exchange. He mentioned you found some rolls on the side of the road. Great find! It’s amazing what people throw out that is in perfect shape! I recently snagged a window box fan that was just sitting in the dumpster corral at my apartment. I plugged it in and it worked just fine. Glad to be here! Thanks! Hey a window box fan–that’s a fantastic find!! I’ll have to include those wrapping paper rolls in my next Great Trash Finds post! Oh yes, you must. So much good stuff is left curbside. It’s amazing and sometimes sad to see what people will just carelessly throw away rather than sell, donate, or recycle. By the way, I think it’s really cool that you take the time to personally respond to as many comments as possible. 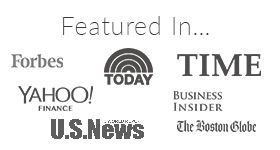 I know the blog is in it’s infancy and you still have a small but growing readership but I think it’s nice that you can maintain that communication with your readers. It makes things more personal and it makes us feel like we know you as our friend or neighbor, not just some anonymous username over the interwebs. So thank you and I continue to enjoy your posts and comments and hope to continue to be motivated by yours and Mr. FW’s experiences! Why, thank you! We are indeed still quite nascent and I’m humbled and delighted that people are reading us and enjoying the content (I’m still amazed every time someone comments! The first time we got a comment, I nearly knocked a glass over I was so excited!). It’s a true pleasure for us to write and we love making these connections with fellow frugal folks. Would that we were all neighbors in real life! That’s a great perspective. I certainly had to get to this place where I’m comfortable making decisions that are consistently against the mainstream grain. Now that I’m in that place, I feel so free and am such a happier person. I agree that the internet is a wonderful font of like-minded non-conformists :). Thank you so much for sharing your thoughts! Gosh i must be a weirdo too! Just proved it. Thanks so much for reading and for commenting :)! Glad to have you here! Telling people why I don’t buy new cars makes me nervous, but is not nearly as scary as telling people I’m gay. And being frugal probably won’t get me legally fired in most states. The feeling is different, or at least, it’s the same but to a very different degree. Incidentally, it doesn’t seem like a lot of LGBT people are very frugal or minimalist, unfortunately. (I’ve only found a few minimalist lesbian bloggers.) Because they questioned their sexuality or gender, and society’s and/or the church’s expectations, you would think they would also question other things. Sometimes it might feel like one kind of “different” is as much as a person can handle! On a personal level, I care about the opinions of people when they are discussing their areas of expertise, ( and even then,I filter it through my own circumstances/preferences!) and I care about the perceptions of those I love in those areas that involve them. However, having considered their opinions I may, or may not, change MY ideas or behaviours!! So, I guess what I’m saying is, I’m open to learn from anyone who has more experience/ information than me, but I run it through a pretty rigorous filter!